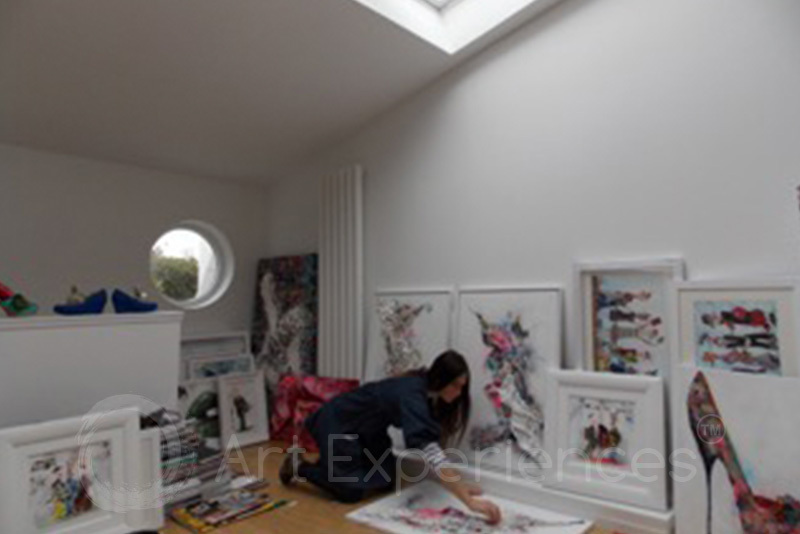 Join Wendy’s exciting art world full of colour and pop art in her beautiful Edinburgh studio. Wendy Grew up in the 80’s surrounded by pop culture, advertising and the growing mass media. If you would like to create your very own pop art using some unique techniques while expanding your knowledge then this is just the experience for you. A selection of bodies to dress and style. You may wish to bring a family photo, picture of a band or similar. This will act as inspiration in the art process if you choose to create a particular likeness within the queue of characters. Truly unique! Your creation will be on a panoramic rectangular stretched canvas with pre splashed nail polish for the heads, you will begin by choosing from a wide range of colour boards ready for you to create your own piece of artwork. The work will then be further worked on with nail polish, acrylics and ink. Final embellishments will be made to pull the work together before finishing with a sealing process for longevity. 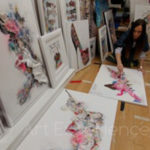 This starts with a layering process where pieces of magazines are glued onto canvas and left to dry (you may choose a canvas template ahead of your agreed experience date ready for your arrival). Whilst the drying process takes place you will select other materials and colour schemes for the next layer of your creation. Wendy will guide you through a layering technique with acrylics and nail polish, adding detail and embellishments, drizzles and splashes until you have your final creation. Your piece will be sealed for longevity at the end of the experience. Your creation will start with a pre-made acrylic Perspex template of your choice in a robust black and gold paint, drizzled and dried before the actual day of your experience. 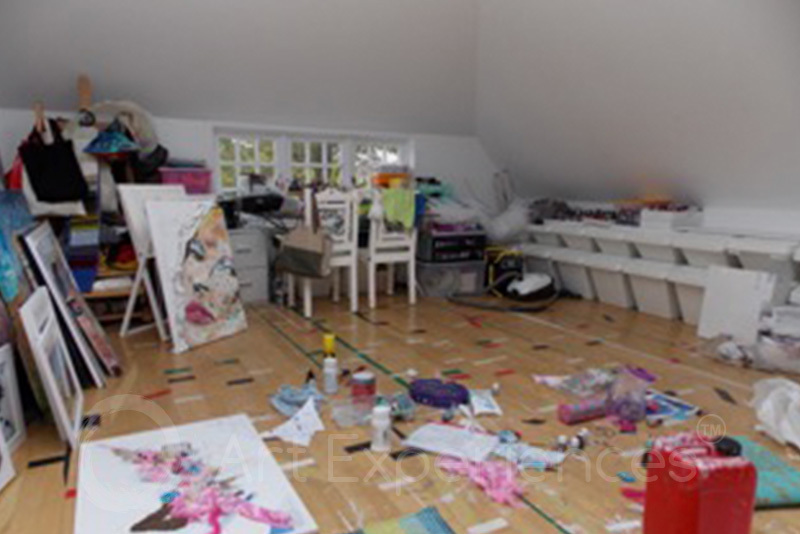 You will work on a piece of board which will become the backdrop of your artwork. 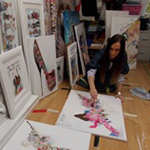 A mix of materials can be used and arranged on the board including watercolours, make-up and torn magazines! This is the first part of the process which will be left to dry. 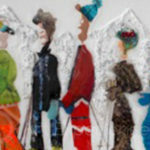 The next will be painting the Perspex itself, a little like a stained glass window, using nail polishes. The board followed by the Perspex will then be fitted into a frame and taped. A frame supplement charge will apply to this experience. The process begins with you selecting from an unconventional choice of materials in a colour coordinating fashion. These materials are fixed across the canvas and then the building process begins. In a different approach to mark making using various techniques, fascinating effects and textures will start to appear within your abstract work. For an extra special finish an optional resin finish can be applied to your artwork, this is a 3 day process and a supplement charge plus postage would apply. You must be aged 16 years or over to take part in this experience. 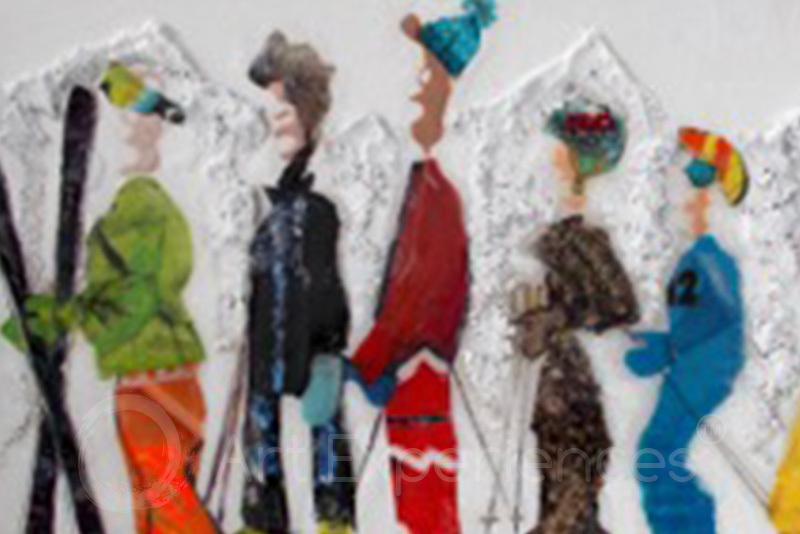 This is a full day collage and layering experience. A light lunch is included. Participants: The experience is for 1 adult. 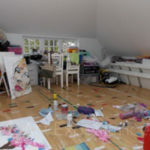 This is a private art class where you will receive one to one tuition from Wendy Helliwell, There will be no other participants in the class with you. If you would like to bring a spectator along, please request this upon booking. 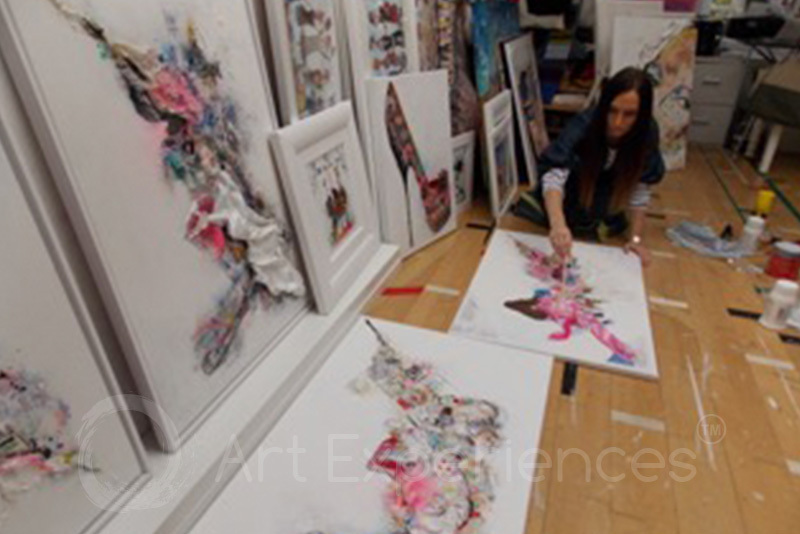 All materials will be inclusive within the experience, your completed work on a stretched canvas will be bubble wrapped to take away on the day. 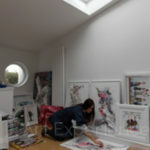 If for any reason the artwork is still drying it can be posted out to you at a later date with an additional cost. This studio is not wheelchair friendly. This experience should not be affected by the weather.